Shogun, Nightseeker and Pugilist can hold on to an extra weapon to maintain stances, though it really doesn't make a difference for Shogun. Many classes could get away with just ditching their standard weapons for a katana, either because they aren't primarily damage-dealers or because they have enough damage-options without weapon-restrictions. Fun fact, bows are kind of weak weapons, so Survivalist has monstrous skills. Hazy Arrow can't be fired from a katana, of course, but the strongest Force Break, Mirage Arrow, can. Huh, those survivalist numbers are pretty crazy. Pity the highlander no longer has the weird charge skill that removes weapon requirements from abilities. Imperial with Act Quick, Double Action and Penetrator could be fun to play around with. Or Shadow Charge. Charge Edge works on counter-moves, right? Protector's cheap and potent skills are a good match for TP-restoration, damage-boosts, high STR and decent durability. You only need high maximal TP if you spend it faster than you gain it. At least if I'm only imagining that chargeblades used to disable equipping shields. Yes, gunblades in EOIV were two handed weapons. For the purposes of the OP revamp when Nexus is available, has anything changed regarding types of armor and weapons affecting speed in combat? I think it's still consistent with EOV's numbers. Hmm... I feel like my party's gonna be Hero, War Magus, Pugilist / Zodiac, Gunner. Not too much of a deviation from my usual bog-standard play (i.e. Protector and Medic instead of Hero and War Magus), though. I guess the one thing that's giving me pause is that by having three members in the front row, Hero afterimages will end up in the back row, cutting their effectiveness in half. Can probably find some ways to benefit from the Hero being present on the other row with "user's row" skills. The after-image abilities belong to a single line in the Hero's skill tree, there's plenty of other skills to make use of. I didn't notice that there were "user's row" skills before, but looking at the skill chart again, I can see that they're on the defensive support side of the class. Since afterimages are only generated on attack skills, I don't think those skills are eligible for afterimages. True, but it feels like afterimages are a big part of the Hero gimmick / kit, so I'll probably have at least some points in it. On the other hand, considering my planned party composition, the Hero will probably favor the defender role rather than the attacker role so maybe it's okay not to worry too much about it. Other classes have some stuff like healing the user's row when the user attacks. Force Gifter should also work. The mirage-line is pretty large part of a Hero's effectiveness. Oh, I should probably mention the more important bug. Long story short, maybe keeping a slot empty in your guild can prevent characters dying permanantly? Presumably becuase mirages add and remove people to the party, and the game struggles to tell the difference between a knocked out character and that character's mirage, if a character dies when the game flags that a mirage has appeared and should be removed once it's done, the character may be removed from the party. It may then be found back at the guild, like characters normally removed from the party. But apparently, sometimes there isn't room in the guild when a character is moved incorrectly, so it doesn't return to the guild's list. I haven't heard about any bugfixes so far. Another fun fact, shields have pretty small stat-numbers compared to weapons, so some shield-attacks have big modifiers that would be busted with something like a real weapon. But there is one shield a little like a real weapon, so Hero, Swordman and Protector get a big upgrade late in the game. I want to try Shield Flare with Single Devote. I forgot that EO2 Landsknecht-scarf. Just got my pre-order in, and it was right then that the sadness hit me. 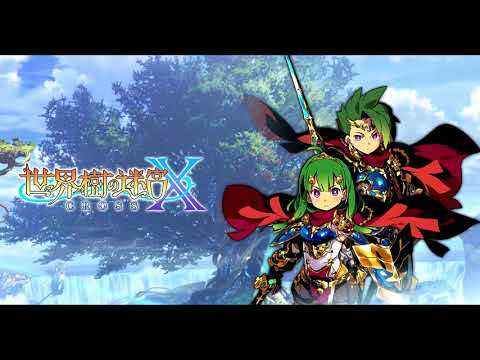 This is the last Etrian Odyssey that will play as the games have up to this point. And I, like a crazy person, own ALL of them. My own treasure trove of a zeitgeist in gaming. I really do adore everything up to this point and I'm excited to see where it all goes from here, just... yeah. Less than a week to go everyone. See you all at the top (or bottom?) of Yggdrasil! In each of the games in the series, I'd always make a guild with just one representative from each class (excepting the two Untolds, where I just went through story mode). That picture makes me think I should pop in those cartridges to record my party members and then port them over to be my Nexus guild. EDIT: And after making the roll call of the parallel Adamant Guilds, due to my carrying over of about six names between games, I've found that there are a few classes that will need new representatives beyond the new Hero class. Also, if I follow through with my stated core party from a week ago, that means that only one of those six names will be part of the mainline (the Zodiac). How interesting. I did a quick pass at the OP to gear it up for Nexus' release. There's more links I'll throw into the OP for old game resources / tools, just wanted to get the ground work in now. 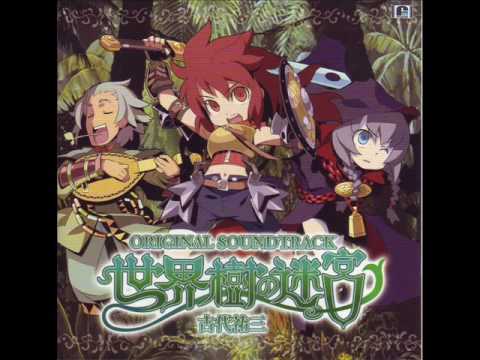 Edit - Have some bangin' EO3 night-time town music. Hah! Ronin's Tsubamegaeshi gains a third hit fully mastered, like in Fate/Whatever. Front Command is real cheap in both TP and SP for what it can do. A fine replacement for hitting things with sticks on any class. Arcanist, Zodiac and Sovereign in particular have low STR and no natural guns or bows, though those could also do well enough with their own Int-spells. It works better with a Sovereign in the party, though, since they can effectively change Front Command's element. I'm hearing that a bug has actually been fixed. Incredible. EO5 and EO2U are the only games where I started really experimenting with builds / strategies I didn't usually fall back on. But I dunno, I can't see myself taking my first swing at EON doing any of that. I'll go back to my usual strategy and save experimentation for later playthroughs. 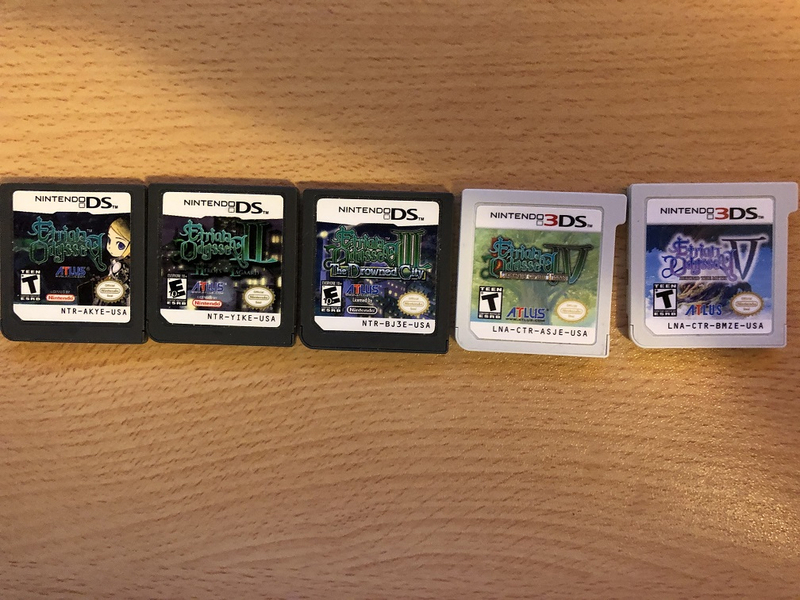 For all five non-Untold games, I have spent more time moving points around than anything else. I'm feeling overwhelmed by IV. Too many little dungeons and excessive aircraft overworld stuff. The aircraft got to be a bit of a chore, but the mini dungeons and all were fine imo. In general the flow of that game is mini-dungeon, a floor of the current main dungeon, mini-dungeon, next floor of the main dungeon, etc. It does have a pattern but it's a tad more tedious than previous games yeah. As for the aircraft stuff, I mean, there's not a lot you have to get involved with. If you mean the mini-quests the two NPCs can give you, those are as optional as you can get in a game. Ahaha. Yeah, I was considering Imperial/Highlander (Highlander brings so many nice passives), but Imperial/Hero really does seem silly between Afterimage and Encourage (heal party for a % of your HP every time you use a skill). Imperial has the second highest HP (behind Protector, of course), and a sword combo build just does skills every single turn. Is V the same way? I kind of miss straight forward DCing, like I & II. No, EOV is straight-forward climbing that one tree. And how my reaction was like... "Aw, there's some mice and butterflies. This game is cute." And then my front line was nearly one-shotted each. That's a feeling you can only ever experience once in a series like this, but the fun you have to chase after that is convincing people to play it for the first time and just live vicariously through them. Pugilist / Shogun (?) for binds and damage. Debating an Arcanist / Nightseeker in there somewhere running ailments/dismiss for more int damage, plus their break skill resets resist accumulation for bosses. Don't know if Nightseeker really does a lot for Arcanist. Occasionally getting two Dismiss Blow for the price of one could be nice, though. Beware Nightseeker's active skills use STR for infliction. Sovereign is a very busy class, always on the clock, so it's best with subs that don't take up many turns to use. It doesn't really super need anything, though, they are the haves, not the have-nots. Mini dungeons and the airship were definitely my favorite part of EO4 and I wanted more of that. The math-error for some revive-skills has not been fixed, so some of them need to be near maxed to get any decent chance to work. Nonguaranteed revives are always such a pain, even when they are good I hate using them. Leaning imperial/hero/sovereign with arcanist/zodiac backline for nexus now. Even if imperials seem straight up bad they are too cool not to use. And imperial/hero frontline ought to be tanky enough to tackle non postgame stuff. The sovereign can move to the backline as well later once mirages will do actually useful stuff. Starting Hero, Ninja, Gunner, Survivalist, maybe Sovereign. Going to work Ronin, Highlander, Shogun, Harbinger in when convenient. Want to try some different things with Swordman and get a fancy Pugilist-combo. For me, this is the video that made me interested enough to try out EOIV. The Paladin is dead, FOE. 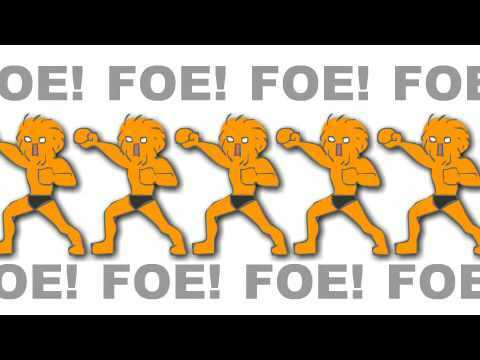 Even in a boss fight, FOE! Ah, no - I was mainly looking at the damage boosts from getting ailments out. Every so often when I see that, I tell myself "Saitama, saitama!". Whenever there is a strong enemy in a dungeon in any other game I always call them foes.